ZAGGfolio is a thin multi-function case with a removable Bluetooth keyboard for the Apple iPad. 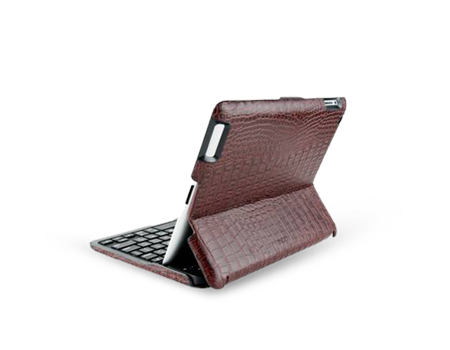 A thin multi-function carrying case with a removable Bluetooth® keyboard, the ZAGGfolio is a sleek, forward-looking design with unbeatable style and function. The ZAGGfolio provides a built-in stand to hold the Apple iPad in either portrait or landscape orientation. The durable folio cover is finished in a modern Carbon Fiber pattern for a look that is both professional and progressive. Island-style keys provide maximum typing room and shortcuts to access special features with a push of a button.